Cast iron cookware has been around for a long time. It came in handy on the original homesteads that America saw. Cast iron cookware is highly durable. I have a few pieces that I inherited from my grandmother that still work like new. Taking care of your cast iron will help to extend its life for the long term. Part of caring for it is cleaning it. I’ve always been told to never wash my cast iron in soapy water as this strips off the seasoning. The way my grandmother taught me to clean cast iron is to scrub it with a coarse salt and use a soft sponge to rub the salt around the pan or pot. The salt helps to absorb the oil in the pan and lift away any food particles. If you’ve never owned cast iron cookware then you may wonder why the seasoning of the pan is so important. Cast iron is bad to rust, if you keep your pans seasoned this helps to keep the rust to a minimum (also storing in a dry area helps!). Also the seasoning helps to keep your food from sticking to the metal. Plus, well in my opinion, the seasoning of the pan makes the food taste better. Especially corn breads. 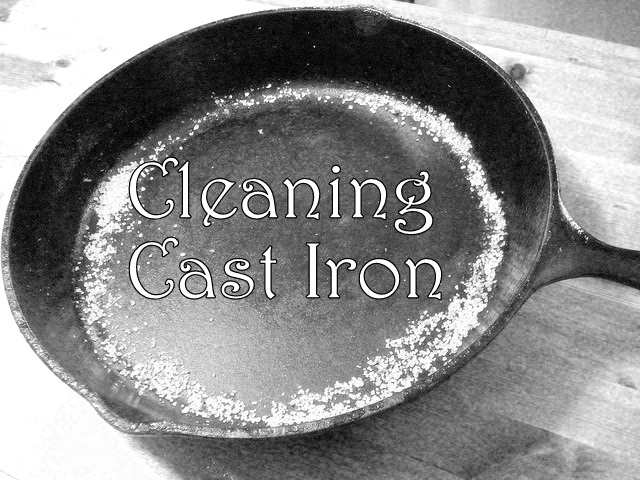 How do you clean your cast iron?